By now if you’re interested in PI you probably got some planets up and running an wondering what to do with your toxic metals and bacteria ! Well there is a nice spreadsheet over at google docs that really helps. It’s pretty popular, while I type this 46 people are looking at it :). Also the Ivy-League wiki helps a lot at http://www.eve-ivy.com/wiki/. Thanks to the nice people who have taken the effort to put these together ! Tyrannis has been delayed by a week, and planetary interaction even by three weeks. The new skills will be available and you will be able to scout for planets, but the command centers needed to actually start harvesting those planets will only be available two weeks after. Here is a list of the new skills and what they do. Remote Sensing (L1) – The ability to gather and analyze remote sensing data from satellites in orbit around a planet and to produce proper calibrated surveys. 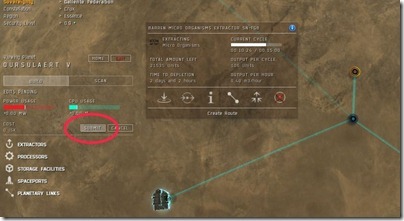 This skill allows you to survey for resources from bigger distances up to 9 light years. Level 3 opens up the next two. 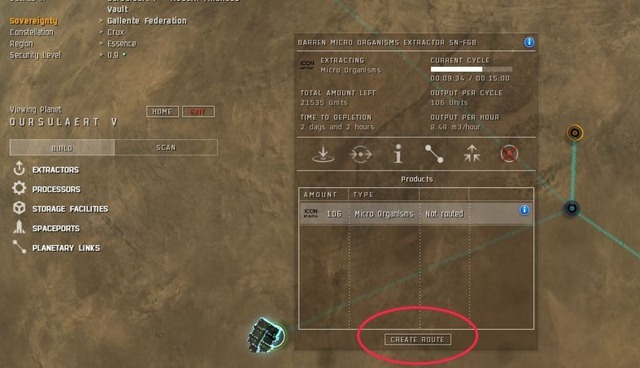 Planetology skills increase the accuracy of scanning. No prerequisites needed for these. Command center upgrades : Each rank in this skill improves the quality of command facility available to you, in turn allowing for a greater number of connected facilities on that planet. Interplanetary consolidation: For each rank in this skill, you may install a command center on one additional planet, to a maximum of 6 planets. My suggested skill plan would be to start out a few levels of Remote Sensing, it makes scanning for the right planet a bit easier (actually one level is needed to scan at all) so you can start scouting. It’s only a level 1 skill so it trains up fast. 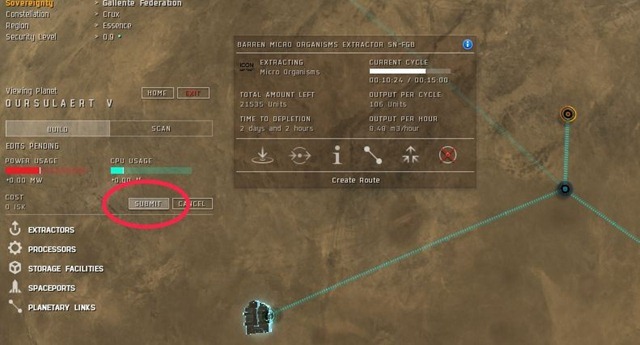 Also it’s needed at level 3 for some of the other planetology skills. Followed by Command center upgrades so you’re not stuck with just the basic command center, and then Interplanetary upgrades so you can build on multiple planets. Although now that there are (at least) two weeks in between the skills being available and actually useable, the order doesn’t really matter that much. Try to get at least a standard command center and IC as high up as you can. 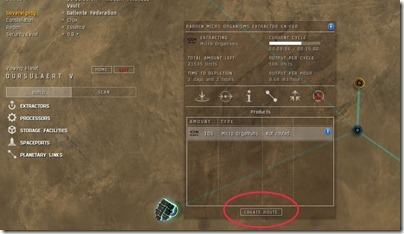 A lot more info can be found in the Planetary Interaction FAQ. There is a nice thread on the Eve-O forums speculating on the landgrab that might come, once Planetary Interaction goes live: http://bit.ly/b6peyb. According to that thread there are 194 players for each planet in hisec. But not everybody will try PI. And a lot of people will dabble in it at first and forget about it as it takes a bit of work and it might not be everybody’s cup of tea. It will probably pay off to look for some juicy planets in low sec. I might have to dust off my blockade runner ;). The trailer is now out and can be downloaded from http://www.eveonline.com/tyrannis/videos.asp. Once again the eve video creation team outdid themselves, it’s a very nice one ! Tyrannis will be out on may 18th. The current iteration of Planetary Interaction still seems a bit rudimentary, although it’s come a long way since I first tried it. I am afraid the interface will be more or less the same as it is now. Also the whole thing feels a bit disconnected from Eve, but I already stated that in my previous post. The game play, if you can call it that, is a bit simplistic, connect the Pins and dots game. But it’s a nice side game nevertheless. It’ll take a bit of time for people to learn all the related skills and be able to harvest six planets (the max at the moment on the test server). But once they have, most commodities like water, oxygen and various pos modules and other goods that we used to buy from NPCs will be available from players ! Since everybody can start producing and there won’t be any struggle for planets (it’s instanced so Jita IV can be harvested by the 1000s of people sitting in Jita), the competition will be quite heavy. There probably won’t be much money in it, maybe the end products might be profitable, I doubt any of the lower stuff will be. As for the other features: Evegate will be fun and handy, especially for when you can’t log in to the game and to keep in touch with in game friends. There are also Event Landmarks, which is nice, but not groundbreaking. The fact that a new Scorpion model is being touted as a new feature is scary. This is a bit of a sign that the expansion is slightly thin on content, but I am not complaining since it’s introducing a whole new sub game that can be tinkered with almost every time you log on and that will take up a bit of playing time. This is my second post on PI here. The first one was when PI was first published in a very rudimentary form on the test server. This time I’ll just post some pointers for people who want to take a look at it on the testserver. Network is busy, try again in 16secs. The interface of the whole thing is cryptic, not very straightforward and sometimes downright annoying. 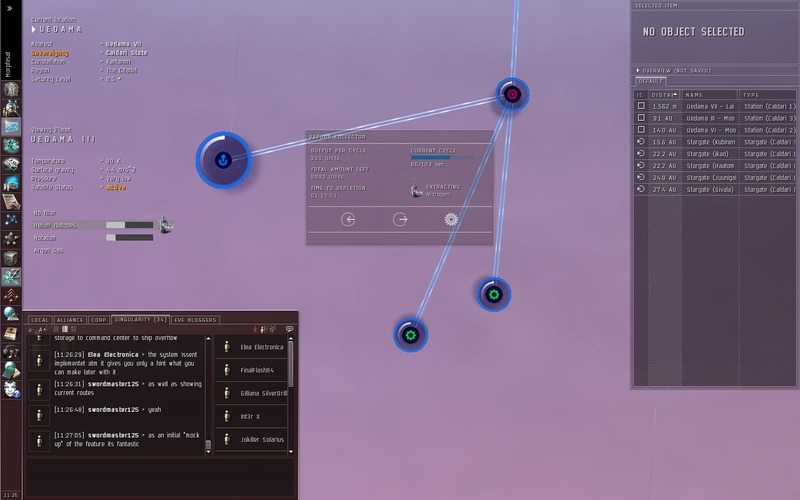 But as usual with Eve’s interface, once you get the hang of it, it’s workable. Still it could be a lot better and a lot less of a click fest in my opinion. The feedback thread on the Eve-O forums has some nice suggestions, let’s hope CCP will take it seriously ! When you start out the most frustrating thing you have to do is link and route your goods to storage space and then from storage space to a factory. This is after you have put down your command center and scanned for some resources, which is all pretty straightforward. Assuming you have an extractor and are extracting some resource you can click on the products button and this screen will come up. Also make sure you have a link to a storage facility. 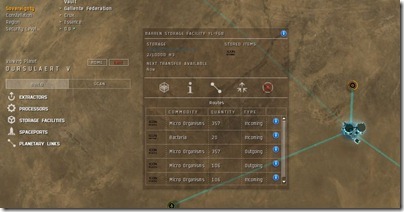 After clicking the create route, select the storage facility. And you’ll see this screen. You are still in Edit mode. Once you have pressed submit the route will be there. You don’t have to click it every time it’s up, but don’t forget to click it before you leave the planetary view mode. It’s very frustrating to have set up several routes, only to find out next time you forgot to press submit :(. As you can see here, stuff if being moved from the extractors to the processor and back to storage again. In this case you could route things directly to the processor, as the extractors are no where near overproduction for the processor. The problem I have at the moment is that I can hardly make anything else besides the bacteria in the above picture, I only have a bunch of raw materials. UPDATE: I just found out you can click on the blueprint in the basic processor selection screen and pick other stuff like precious metals as well O.o. Maybe I should move me to FD-MLJ and better stuff is seeded there ? I also took a peek in lowsec and there seemed to be more resources there, but I am not sure whether this was just a coincidence. All in all PI is starting to look interesting, although it does feel a bit like an odd side game within a game, which doesn’t feel very much like a part of the rest of the universe. Also it’s quite a click fest when you’re going to setup six planets. And the command centers will need to be upgradeable. At the moment you need to remove everything and start over if you want to upgrade. A new devblog appeared at the eve-o site ! This one is introducing the upcoming Landmarks in Tyrannis. So, how does this affect me, the average EVE player? Well, not much. Nothing in the universe has been lost, but something has been gained. In creating these sites, we wanted to breathe more life into EVE and create more content for you to fool around with, offering a deeper backstory for EVE. As you can see in the above screenshot I have placed a command center on a planet and build some structures that extract isotopes and aluminum. No skill were needed or anything, I am not sure whether that will stay this way, but that’s how it is on the test server now. You just have to be in the same system as the planet and you can tinker with the plant stuff right off the bat. The ui seems to be a bit clumsy at the moment, which was to be expected. And ofcourse we only have one devblog to go by, I hope a somewhat decent wiki page will be there once this goes live, since I didn’t have too much of a clue of what I was doing. But after some trial and error I got some stuff setup. It seems to be rather passive at the moment, like moon mining on planets. And you can create NPC goods like nanite paste in a factory. All you need to do is put those structures down and link them up to the command center. There is no costs associated with the structures at the moment and they do appear out of thin air. No blue prints or anything needed. One hint: you can click on the resources on the left side like Helium Isotopes and the planet turns blue with 3 striped spots (you’ll know what I mean when you see them) here and there. Those are the spots where you need to put the extractors in order to get the most of ‘em, I assume. As you can see it’s all a bit rudimentary at the moment, a more flashed out version will be published on Sisi in three weeks, but so far it seems like a fun thing to play around with and earn you some isk. 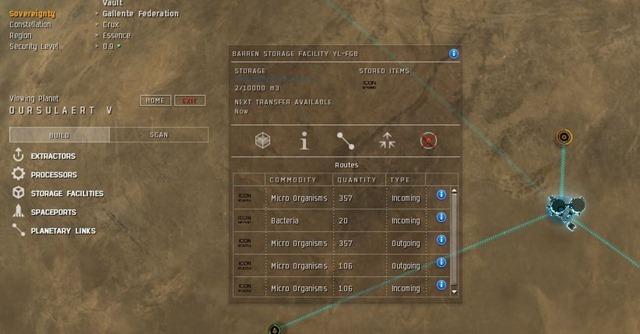 Once Dust 514, I am sure it will be even more interesting ;). The upcoming (summer ?) expansion was announced in a new devblog. As it was to be expected, it will mainly consists of the ‘tinkering with planets’ sub game that was mentioned at fanfest 2009. Back then we were told that it was sort of sim city like game, a side game you tinker with every time you log on for 10mins or so. Nothing much more was revealed about the planet subgame, so it leaves more questions than answers. Will there be some sort of limit to how many planets one player can ‘own’ ? Or will the startup costs be the limiting factor ? Will there be a mad gold rush once this thing goes live and will all the ‘good planets’ be taken 30mins after Tyrannis going live ? Will losec planets be better than hisec ones ? What will be produced on these planets ? How will it tie in with the existing game industry wise ? I hope we’ll get the answers in the upcoming devblogs on the subject. Another part of the expansion will be Eve Gate. This is what the eve fans have been calling Spacebook. 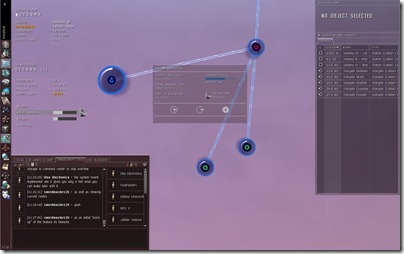 EVE Gate will allow you to interact with EVE through a regular web browser. Sounds like an interesting addition to the game, but not something that really changes or enhances the game. Why it’s agile to change a name I don’t know, but let’s just assume that’s some sort of joke ;). We are working on other optimizations and improvements throughout the game, as usual with our expansions. A task force is working on reducing fleet fight lag, often working deep into the night chasing action around on TQ, while another team is developing an advanced simulation environment for load testing on our local servers. Once again something that should just be normal operations for an MMO is being touted as an expansion feature… <mumbles something about marketing speak>. So what do I think of all this ? While interesting, just the planet subgame seems a bit thin for an expansion. I missed the T3 frigates announcement. I guess that fell by the roadside, or maybe they’re still working on them and they might be announced later.